For hundreds of years, Icelanders have enjoyed skyr as part of their daily diet. 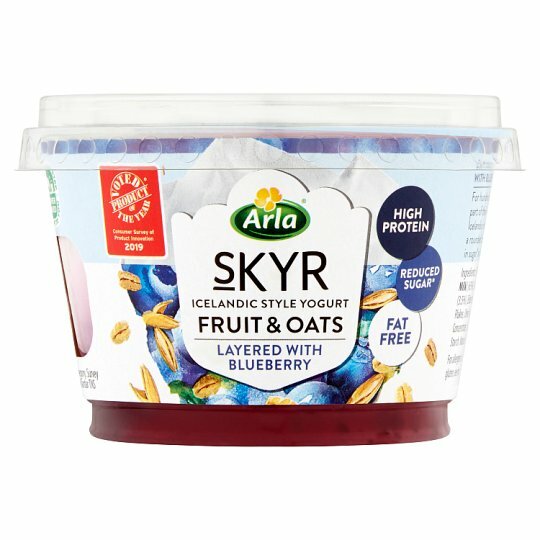 Now, you can enjoy our silky smooth Icelandic-style yogurt boosted with oats and fruit to create a rounded breakfast or tasty snack that's fat free, reduced in sugar* and high in protein. *30% less sugar than other flavoured yogurts based on a market average. Keep refrigerated. Do not exceed use by date., For use by date see top of pack.